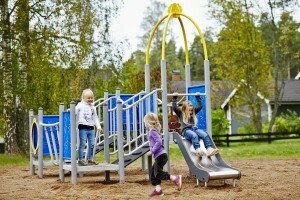 A state-of-the-art outdoor playground may look the part, but keeping it in tip-top condition is sometimes overlooked. From ropes and wooden frames to nuts and bolts, there are a large number of components on play equipment that require routine checks and an annual inspection. A leading supplier of outdoor play equipment is urging holiday park operators to show duty of care towards their play equipment. RSS (Playground Inspection and Maintenance) stresses the importance of ongoing compliance to EN1176, even with newly purchased equipment, by inspecting the equipment on a regular basis. Andy Readman, director of RSS comments: “In the unfortunate event of an accident you must be able demonstrate compliance to avoid expensive litigation and bad publicity. When purchasing a new playground you can specify equipment that is certified for compliance to EN1176, the European Playground safety standard. “But what do you do when your equipment is many years old, was never certified for compliance when manufactured and the original equipment manufacturer is no longer trading?” says Andy. “Well, you still have the same obligations regarding safety of the users but it is unlikely that an item of equipment that wasn’t designed to comply can be successfully modified to comply,” he explains. RSS (Playground Inspection and Maintenance) have worked with holiday parks and visitor attractions for many years and can offer independent advice backed up by over 25 years’ experience in this specialised field. Following a successful refurbishment of the playground equipment in 2013 to address non-compliances and extend the life of the equipment, Cosgrove Park in Milton Keynes has implemented a seasonal inspection regime based on the opening schedule for the park. RSS have worked with Cosgrove Park to ensure that the regime reduces the number of inspections but ensures the park is inspected more frequently during the periods of highest use. How often outdoor play equipment should be changed or updated all depends on the warranties of the equipment and its usage. The more the equipment is used, the quicker it may suffer from wear and tear. 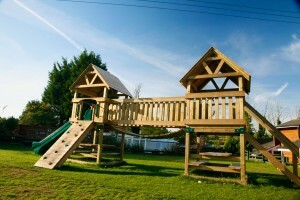 You can expect at least ten years use from any play area - and a lot more if it is well maintained. 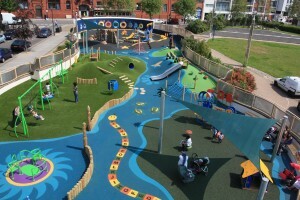 Sovereign Play Equipment has installed in excess of 10,000 play areas nationwide over the last 22 years. Playforce is a long-standing member of the API, all equipment complies with BS EN1176 and 1177 and is RoSPA tested. The company provides a full maintenance service with advice on routine maintenance, post installation, yearly and three yearly packages that include full reports, training and consultation sessions.